This September will see Visionquest return with Alexi Delano’s ‘Water Colors’ EP, accompanied by a remix from the Persuader aka Jesper Dahlba¨ck. Chilean born, Swedish raised, New York adopted and Amsterdam based producer and DJ Alexi Delano has an impressive back catalogue dating back over two decades and featuring releases on labels such as Laurent Garnier’s F Communications, Richie Hawtin & John Acquaviva’s Plus 8, Ghostly International’s Spectral Sound and M_Nus as well as Visionquest where he returns to here following his collaborative ‘The Breeze’ EP alongside label co-founder Shaun Reeves in 2013. Title-track ‘Water Colors’ opens the release, a smooth and gradually unfolding composition fuelled by an amalgamation deftly programmed multi-layered melodies which ebb and flow throughout the sturdy rhythmic foundation. Following is The Persuader’s take on ‘Water Colors’ which dubs things out to create a murky submerged feel in contrast, utilizing the original’s hypnotic melodies whilst subtly working in a rugged 303 line throughout. ‘Communicate’ then rounds out the package with a groove-led feel, bringing a squelching acid bass, hooky vocal chop and modulating synth flutters into the limelight as the shuffled dynamic drum machine workout carries things along. 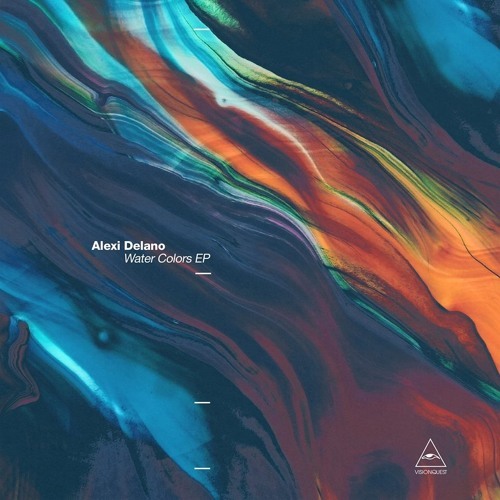 Alexi Delano’s ‘Water Colors’ EP is out on Visionquest 8th September 2017.